With the searing heat and humidity of summer, who wants to cook, or even eat hot food? 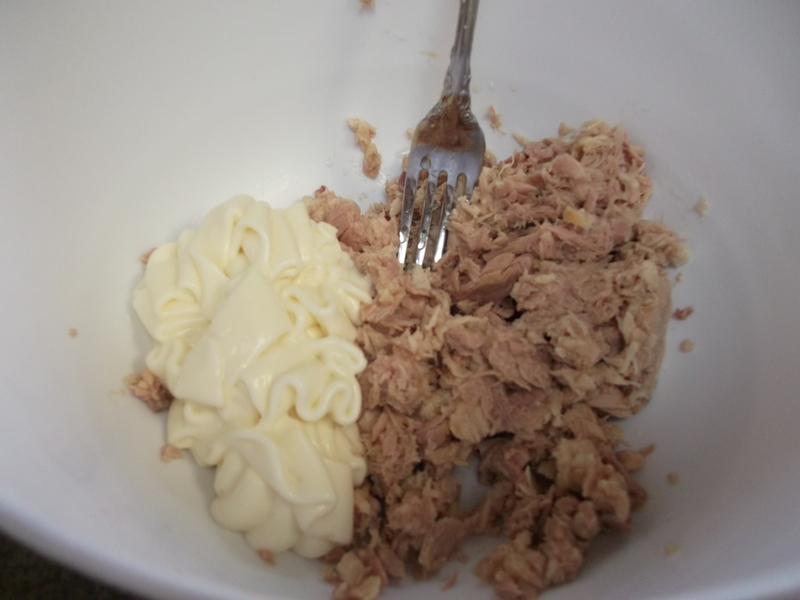 This simple cold tuna salad makes a great dinner on a hot summer night, and has been a family favorite of ours for decades. It’s super easy to make and when served chilled, really hits the spot for a light summer meal. In a large bowl, combine the first five ingredients and mix well. Fold in the onions and peas and chill at least 20-30 minutes. Serve over fresh lettuce and top with the rice noodles. With only eight ingredients, this salad takes only minutes to make. And the measurements here are very general, so feel free to add more of what you like or have on hand, or to jazz it up with other herbs and seasonings. Mix well. 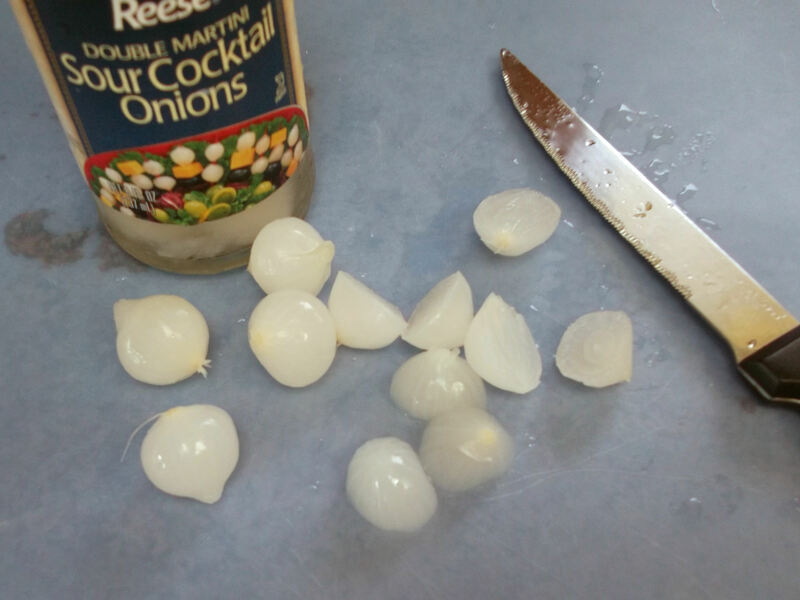 Cook the peas and slice the onions in halves or quarters. 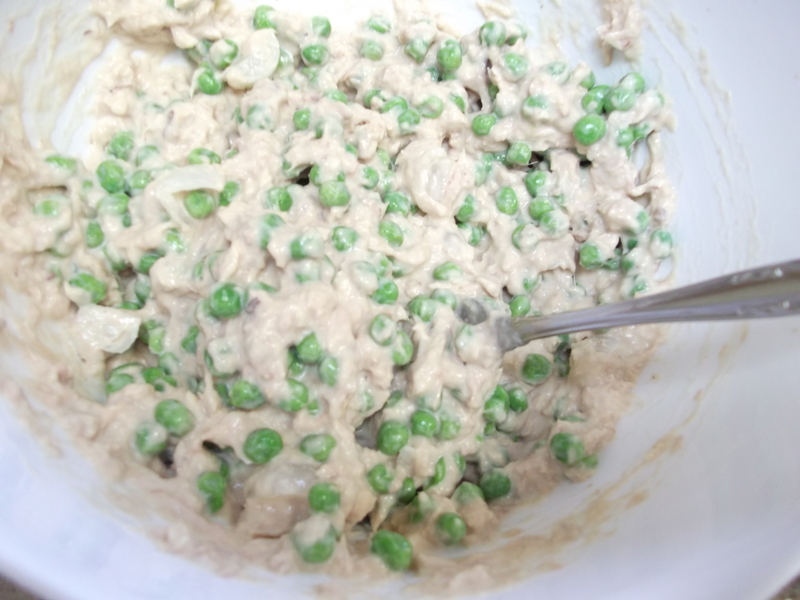 Fold in the cooked peas and onions and chill at least 20-30 minutes. 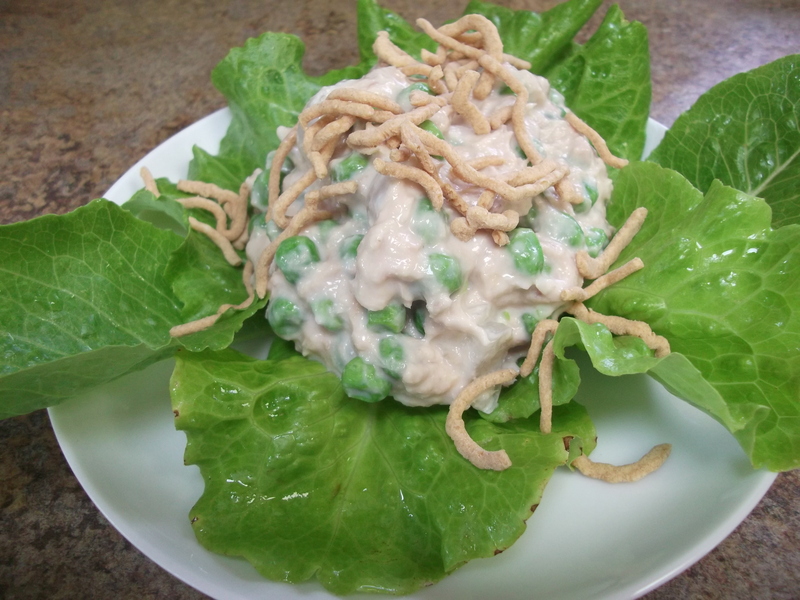 Serve on top of fresh lettuce leaves; top the salad with rice noodles. Enjoy!